We sure are super in love with Palma. But we can also admit it is not all about Palma. It is true that this is a cool city where you’ll find everything you’re looking for and more, but Mallorca is an amazing island full of tradition, beauty and nature to discover. So today we want to encourage you to leave Palma (sad face) and spend a day out there, conquering the island ☺ Here’s our first ‘plan for a day’ by Nakar. The easiest way to spend this day out of Palma is to rent a car. You’ll find car rentals are really cheap in Spain and it is definitly is worth it. It will give you the opporuntinty to create your own itinerary in addition to manage your time and discover some hidden corners. 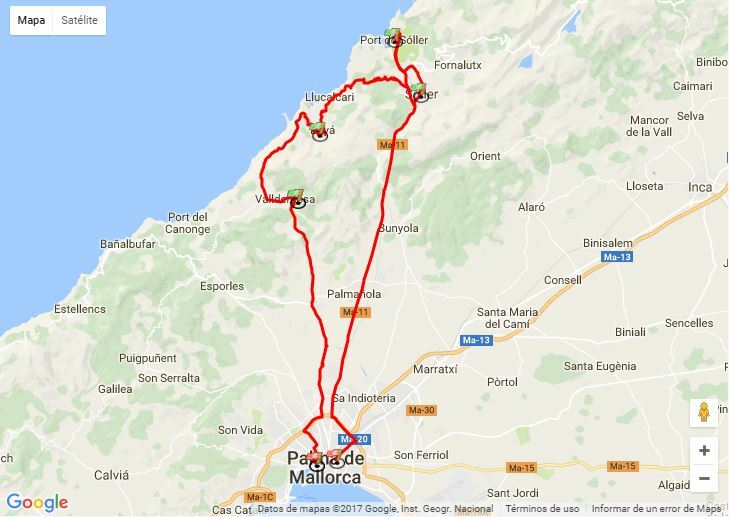 Our suggested itinerary for the day will discover some of the most romantic and charming Majorcan towns to finish at a beautiful port. This is how it goes. 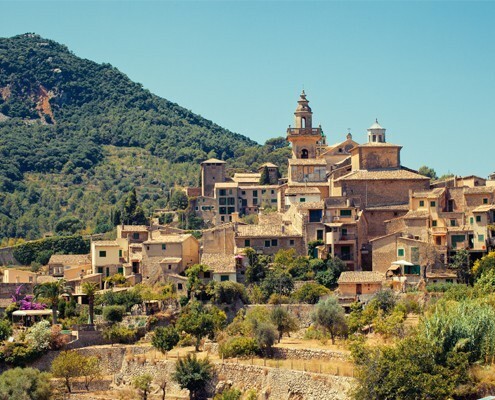 First, Valldemossa: If you have done your research about Mallorca, Valldemossa has probably popped up more than once. 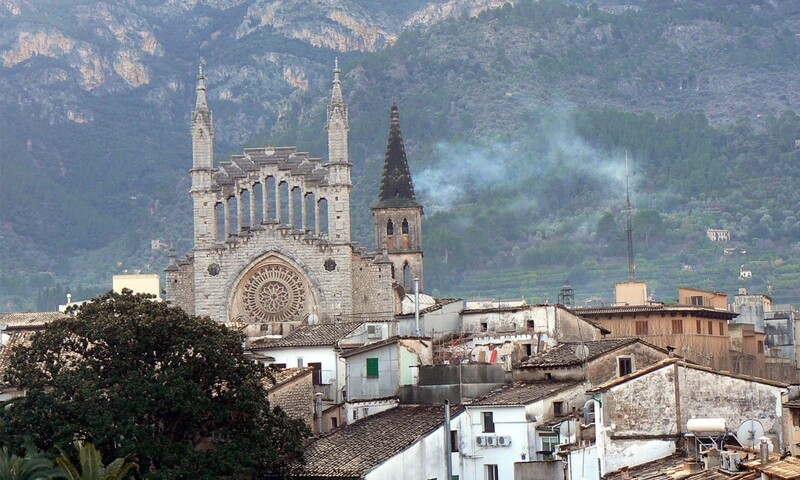 This extremely beautiful little village is located in the hills of the Tramuntana range about 17 km away from Palma. Surrounded by forested hills and a population of 2.000 this quiet and magical village was home to Frederic Chopin and George Sand. 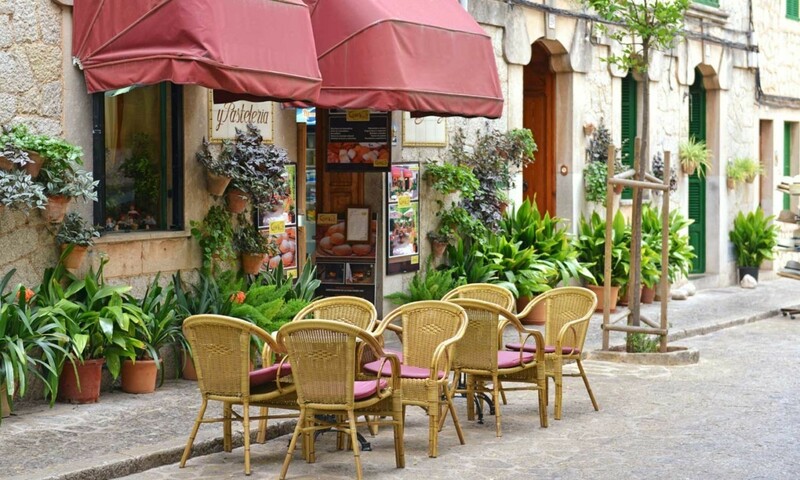 Its cobbled streets filled with cafes and little shops guide you right from the ‘Real Cartuja de Valldemossa’- an old Carthusian monastery up to its church and stunning landscape. Next stop, Deià: Deià is literally the next stop after Valldemossa if you continue on the same highway from Palma. This village has the same style of cobbled and narrow streets as Valldemossa and is filled with green-shuttered, ochre-coloured houses. 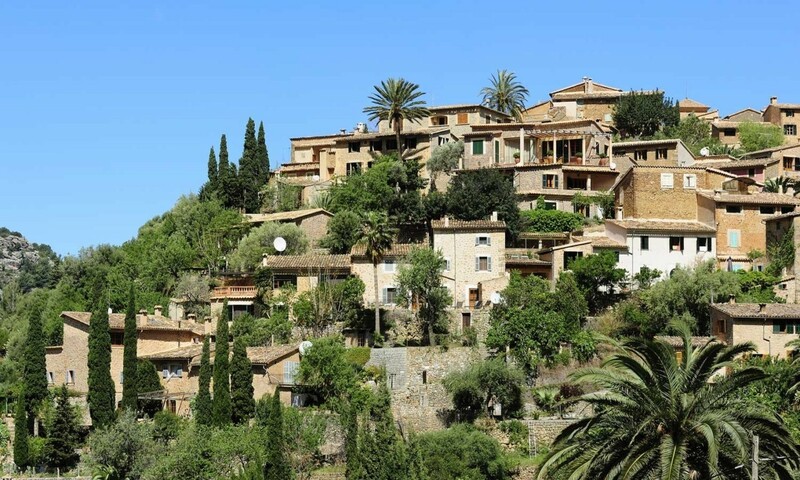 After Robert Graves moved to Deià in 1932, this village became a foreign artists’ colony, continuing this bohemian and artistic tradition up to this day. What Nakar loves the most about Deià: having a typical Majorcan ‘pa amb oli’ at Sa Fonda. Moving on, Sóller: Sóller is located right in the well-known ‘orange valley’ in Mallorca’s northwest. The ‘valley of oranges or golden valley’ was named like this in the 19th century because of its active shipping of oranges to France. Sóller is a beautiful town where Plaza de la Constitución is the meeting point for locals and tourists who like to enjoy a coffee or ice cream soaking up the unique atmosphere of this town. What Nakar loves the most about Sóller: attending the market on Saturdays. Last but not least, Port de Sóller: when in Sóller there is a vintage tram that takes you from Sóller town to its port. 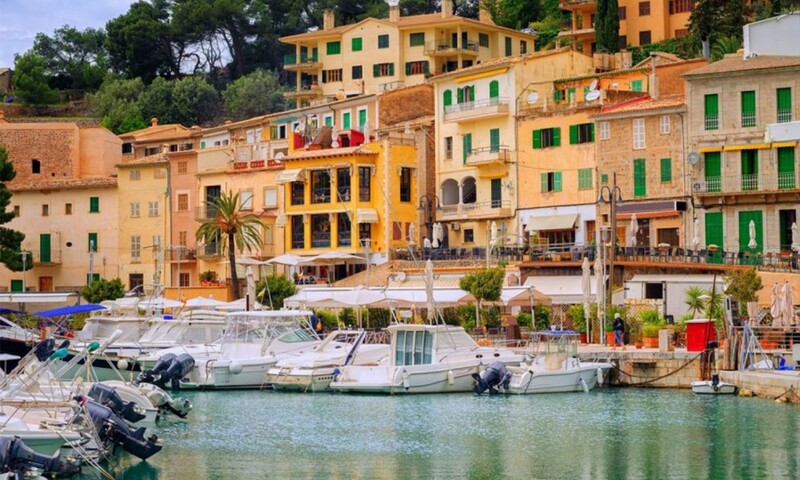 Port de Sóller is a charming little harbour surrounded by the Tramuntana mountain range. There are two beaches in Port de Sóller where you will be able to dive in after a long day of discovering the island. What Nakar loves the most about Port de Sóller: picking up an ice cream at Fet a Sóller and strolling down the promenade. So, get out there, follow our itinerary, add some of your own secret spots to it, write it down in your travel notebook and let us know how it went!